So this is how it all started....I have coveted the number one selling RMS beauty Living Luminizer forever! I wouldn't allow myself to purchase it due to the fact that I may have 92 other Luminizing products. But the desire ran deep. Then my best friend Sue came to visit and while she was here said, "For goodness sake, just take the rest of mine I just ordered a new one anyway." So with this little -almost empty pot my RMS obsession began. Living Luminizer. Every person and especially every makeup artist must own this product. This product is natural, glowy and impactful. It is not sticky greasy or glittery. Lip2Cheekin Promise. The most universal color in the collection. Works on any skin type. Can be worn sheer or built up for more of a color pop. A perfect multi-tasker for a weekend away. Buriti Bronzer. I saw this sitting on a counter when I was learning about some other natural products. It's bronzy beauty called me from the pot. The exact right bronzing glow without orange or pink hues. Made with Buriti oil. 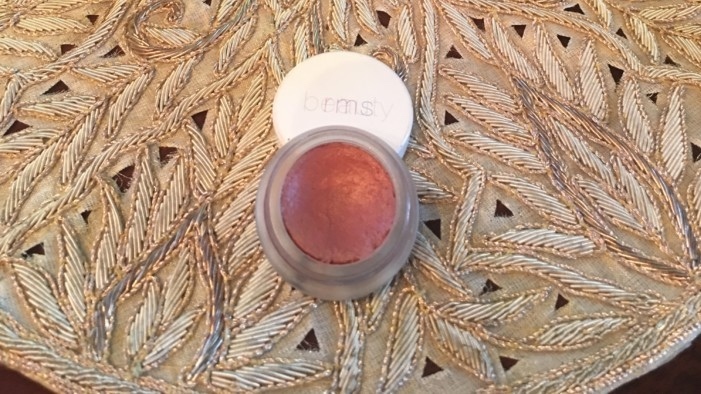 I use it on eyes, lips, cheeks and as a highlighter in summer. Master Mixer. I think it's title says it all. Its intention was to double your color palette of any of your existing makeup. Master Mixer could get any makeup artist through the day. You simply mix it in with your fingers or cream brush to create a rose gold hue.They call it the hardest working product on the market. I respect hard work! Lip2Cheek in Illusive. This was an impulse buy I have to admit. But don't we all believe the sales person when they say you look fabulous in this color. I have been wearing this for personal use a lot lately. "RMS beauty is about aliveness and pure, life force."